An innovative financial services graduate programme, which sees 35 top graduates stay in or return to Wales to gain experience with top employers- as well as a Master’s degree- has been launched in an event at the University of South Wales. 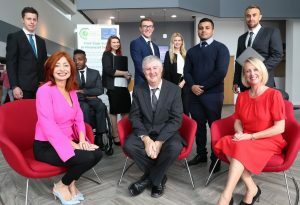 Welsh Government Finance Secretary, Mark Drakeford, joined the organisers of the Welsh Financial Services Graduate Programme and participating employers, to welcome the newest members of one of the country’s highest growth sectors. Managed by the Welsh Financial Services Forum and industry partners, the Programme exists to ensure that Wales retains its high-calibre graduates to support the Welsh financial services sector, creating an elite talent pool that it is hoped will support the growth of indigenous companies and attract further businesses to establish a presence in Wales. Minister Mark Drakeford with organisers and graduates from the Welsh Financial Services Graduate Programme. 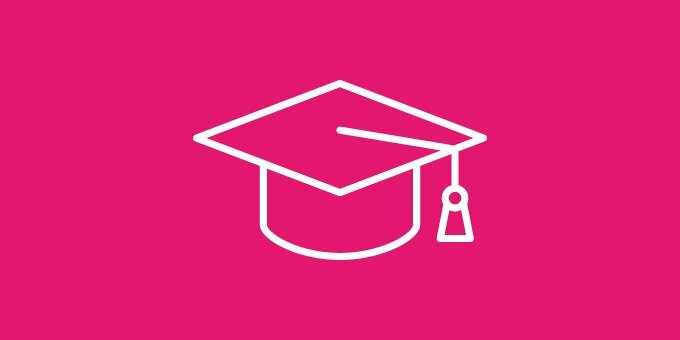 “Thanks to the support from European funding, Welsh Government and our partner organisations, we have created a programme that helps to ensure that fresh, ambitious graduates have every opportunity to realise the potential careers Wales can offer them. Since first launching in 2013, the programme has recruited and developed over 70 graduates, 95 percent of which have secured permanent roles with participating companies. The first version launched in 2013 as a Welsh Government backed pilot programme, with part-funding now received from the European Social Fund. “In total, £2.4m of EU funds have been invested in this programme which is allowing more graduates to pursue professional careers here in Wales and helping businesses develop the next generation of leaders within this sector. Over the programme’s two-year period, each graduate will have the opportunity to develop a unique level of industry insight as they rotate through a series of structured work placements and additional academic training. Each can expect to gain experience in the key areas employers in the sector are calling for including: risk, compliance, innovation, leadership and management and finance, and a customised MSc in Financial Services Management delivered by University of South Wales on graduation. “I’ve always been interested in working in the financial sector, but as a graduate of Human Geography, I was put off studying a Master’s degree in finance or business due to my lack of experience in the sector. Then came across the Programme and discovered that it catered for graduates from a variety of degree disciplines. Participating companies include some of Wales’ largest financial organisations and a growing number of ambitious home-grown firms including: Admiral Group, Atradius, Composite Legal Expenses, DS Smith, Finance Wales, GM Financial, Hodge Bank, Legal & General Investment Management, LexisNexis® Risk Solutions, Optimum Credit Ltd, Principality Building Society and V12 Retail Finance.